It has long been theorized that Brian B spends a lot of time in the Reds bullpen, warming up waiting for his chance to pitch. 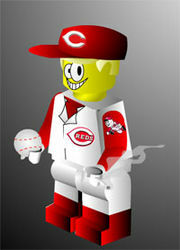 Often he will put the jersey on of some unassuming short-term Reds reliever to get his shot to go into the game. In fact, it may have even happened once or twice.